Instant Car Donation was founded with the goal of bringing donors and local charities together with an efficient and pleasant process. You can focus on deciding which of our respected charities is right for you instead of worrying about difficulties of researching how to make a donation. After your free pickup, we will assist you in recieving the best tax benefit possible for your generous gift. We take pride in helping smaller charities easily receive car donations, bringing people together while helping support those in the Broomfield, Colorado community who need it the most. Here are some of our favorite charities in the Broomfield area. We have made sure each of them are eligible for tax deductions when you help your local community by donating your car. Your values and choice can make a difference. The Access Fund is a national advocacy organization whose mission keeps climbing areas open and conserves the climbing environment. A 501(c)(3) non-profit and accredited land trust representing millions of climbers nationwide in all forms of climbing-rock climbing, ice climbing, mountaineering, and bouldering-the Access Fund is the largest US climbing advocacy organization with over 13,000 members and 100 local affiliates. The Access Fund provides climbing management expertise, stewardship, project specific funding, and educational outreach. Attention Homes provides opportunities for at-risk youth to change their lives. We offer shelter, community-based living and teaching of life skills necessary for an independent future. Our goal is to help youth in crisis become healthy, productive members of our community. Attention Homes has two programs for at-risk youth: Runaway & Homeless Youth (RHY) and Adolescent Residential Care (RES). Our RHY program provides street outreach, day drop-in and overnight emergency shelter services to homeless youth under the age of 20. Our RES program operates three tracts: respite/extended care, sober living and transitional living. The Geological Society of America Foundation (GSAF) was created in December of 1980 for the purpose of securing funds for activities and programs of the Geological Society of America (GSA or Society). The GSAF staff and a volunteer Board of Trustees seek and accept supporting gifts and donations of cash and other instruments in support of GSA's greatest needs which, at present, include: Research Grants, Mentor Programs, Congressional Science Fellow, GeoCorps, Field Forums and Education and Outreach Programs. Goodwill provides education, career development and employment opportunities to help Coloradans in need achieve self-sufficiency, dignity, and hope through the Power of Work. Our job will be done when every person in our community lives to his or her true potential and achieves self-sufficiency. We translate the good in the local community to programs and resources that change lives. This is accomplished through four program areas: job training programs within community high schools; job skills training and placement for adults; vocational training for individuals with disabilities at Goodwill's corporate office; and retail employment and recycling programs. It is the mission of the Humane Society of Boulder Valley to protect and enhance the lives of companion animals by promoting healthy relationships between pets and people. We stay true to our mission statement through a diverse curriculum of programs and services. Over a century ago, the Humane Society of Boulder Valley was founded to protect those who did not have a voice to protect themselves. This mission holds true today as we counter animal neglect and cruelty by partnering with community animal care and control and law enforcement agencies. We offer refuge to over 8,000 animals each year. The International Mountain Bicycling Association (IMBA) is an educational association whose mission is to create, enhance and preserve great trail experiences for mountain bikers worldwide. Since 1988, IMBA has been bringing out the best in mountain biking by encouraging low-impact riding, volunteer trailwork participation, cooperation among different trail user groups, grassroots advocacy and innovative trail management solutions. IMBA's worldwide network includes 32,000 individual members, more than 200 chapters and 300 allied non-profit organizations, more than 200 corporate partners and 800 bicycle retailers. IMBA's members live in all 50 U.S. states, most Canadian provinces and in 30 other countries. The Rocky Mountain MS Center is a patient-centered organization dedicated to changing the way we think about and treat MS in order to protect the futures of those living with the disease. Our mission is to improve the lives of people with Multiple Sclerosis (MS) and their families through care, support, education and research. Car donations are the most accountable way for people to produce a large donation. Because of this, one of their aims is to enable those electing a decision by making sure that the automobile goes into the charity which best represents their values. We make charity choice an integral part of the procedure when donating together with us. Should you need us to decide for you which charity would be helped the most rather we could do this. It's necessary to Instant Car Donation that you receive the greatest tax deduction advantage possible without having to navigate complexities or perform extensive research. We all of our 501-3C non-profit charities that are participating would be tax deductible. The procedure will be streamlined to both you and the charity of your choice. We'll help you following your donation that is completed with a 1098-C tax form. There are many charities, like Boulder Jewish Community Center, in your neighborhood Broomfield, Colorado area which could benefit from your car, like your Dodge Intrepid, donation. We not only help you donate to a charity, but we concentrate on providing regional non-profits that are small with an effortless method they can concentrate on their work to take donations. Often the donation is likely to make the biggest difference for such charitable institutions, while helping to support those in their Broomfield, Colorado community who need it the most, bringing together individuals. Aside from the charitable tax benefit rather than with the hassle of dealing with an old car, the sensation of having the ability to assist those in need may be the very best reason to donate your car, like a Mercedes-Benz LP1219, to a charitable institution, like Davis Phinney Foundation. When you decide to generate a donation of a old car, such as a Isuzu I-Mark, if the non-profit organization sells the car, like a Chevrolet Trailblazer, to get more than $500 they have to mail you a receipt that lets you deduct the sales cost of the automobile in your tax return. If the old car you decided to donate is not worth at least $500, then the IRS lets you ascertain the fair market value. This is the value that somebody would be inclined to spend money on the vehicle, such as your Jaguar F-Pace, in Broomfield if purchasing it from you. So as to receive the tax deduction, so you will have to itemize your deductions on your tax return. You receive the tax benefit, and the charity either gets to use the automobile, such as your Ford Edge, sells it and uses the proceeds for the good of the charitable institution. That's a wonderful thing for everyone involved. Car donation programs have become more popular in Colorado over the past ten years or so, as more charities are searching for new and creative ways to generate funds. Nowadays, the number of charitable vehicle donation programs is in the hundreds or even tens of thousands. If you've got a favorite Broomfield charity, such as Access Fund, you like to make contributions to, it's probably possible for this charity, like Boulder County AIDS Project, to receive at least a part of the funds if you donate your used automobile, like a smart smart. Most used automobile donation programs will sell your vehicle to increase funds for the reason, use the car, like your Saturn LS2, in the everyday operations of their company, or provide the automobile to a someone from Broomfield who needs help either at no cost, or even for less than the fair market value. Another benefit of donating a secondhand car to charity would be your opportunity to just get rid of the vehicle, like a Geo Metro, without needing to try to fix or promote it. Most charitable car donation programs will anyhow vehicles whether they are running in need of repair. Some trucks or cars that are beyond repair will be sold for parts or scrap and any money received will go to the charity. While there are many benefits to charities which receive donations from people, the benefits to the you, the donor might not be too apparent. The largest benefit that most individuals hear about is the chance for a tax benefit. There are a few limitations on this type of deduction, so you might choose to talk to a tax pro before making the donation. Charitable vehicle donation programs permit you to donate your secondhand car to the charity of your own choice, such as Global Greengrants Fund. Visit our charities page to find a charity in Colorado to donate to. Is there a tax benefit for donating my car in Colorado? We can guarantee your car, such as a BMW 325iT, belongs to some non-profit organization which is eligible help you recieve a reciept on your donation and for tax deductible donations. You may be able to find a tax advantage for your car 18, if you itemize your deductions. For donations around $500 it is possible to utilize Kelley Blue Book and to get larger contributions the non-profit organization, such as Attention Homes, needs to confirm what they recieved for the car donation (more info). 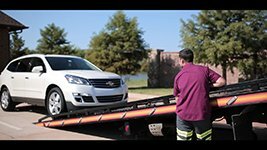 We'll organize a tow truck to come get your car and send it to the charity, for example Western Resource Advocates, of your choice. It could not be easier to assist the non-profit organization, like Bridge House, of your choice! Do you accept donations for cars and trucks which are damaged or missing parts? Surely, we accept vehicles in all conditions! Go to the form and submit your request to donate, and our Broomfield team will quickly see what we can do for you. Would you help me locate a Broomfield non-profit organization that fits my values? We'd really like to assist you ensure that your donation goes to a cause in Broomfield you care about by helping you pick a non-profit organization, for example International Mountain Bicycling Association, that fulfills your private values. This is important for us we do so each time you donate with us! What non-profit organizations do you support in Broomfield? Instant Car Donation proudly supports several respected local Broomfield nonprofit organizations in your area. Our Broomfield team works hard for you to ensure the organizaion becomes maximum support for your automobile. What paperwork is required in Colorado? All owners around the title must complete the section of this title labeled "assignment of title by owner" or "transfer of ownership by seller". Most states require printing and signing owner names. You need to fill out any fields that require information concerning a buyer/purchaser/transferee with information about who you're donating the car, like a Honda Ridgeline, to. You may find instructions. First we will contact the charity of your choice (or select one for you whether you requested that instead) to make certain they need your own car which takes around one business day. After that we'll arrange to get a tow truck to come for pickup. When it is taking a little longer don't hesitate to give us a call. When you contribute a vehicle, like a Phoenix Motorcars Phoenix Motorcars, you are linking the millions of Americans who subscribe to charitable causes every year. You may think you never have the money or resources to actually contribute to a cause you rely on. However, donating a car is on the of the very best means which you can add your support your favourite local charity, such as Boulder Shelter for the Homeless in Broomfield, Colorado. Although it's a small action, your area in Broomfield, Colorado and outside will thanks! Charitable giving is a portion of the fashion, and Americans are amazingly generous to charitable causes as a whole. In reality, in 2016, charitable lending was quantified about 390.05 million dollars, or 2.1 percent of the GDP for the same year. It is also reported that charitable giving has increased year almost every year since 1976. Even more surprising is the fact that young people today give more than their elders did, even when they were the exact same age. Are you astonished that Americans provide so far and in so many ways? You may ask yourself, how would you best talk about the tools you have to get the area community you live in a much better place? If you have a vehicle, such as being a GREENTECH AUTOMOTIVE GREENTECH AUTOMOTIVE, that you aren't using, or can be sitting on your own garage or drive, why not donate to get a charitable cause? Whether your car be new or old, working nicely or needing to a new lifetime, you'll be able to contribute it to the charity of one's choice further its important assignment. Especially, small and moderate sized nonprofits such as International Mountain Bicycling Association have been in need of extra funds as a way to further their reach at the local community. Charities like National High School Rodeo Association at Broomfield, Colorado, are always in need to windfalls to increase or expand their charitable activities. Once you donate your car, you breathe new life in these essential apps, as you can help them receive abrupt new funding. Giving ought to be simple, but shouldn't it? To give your car, all you have to do is click on the donate button. We will contact you to arrange a free pickup for the vehicle in Broomfield, Colorado or the local location. . All you have to do is tell us which respected charity, such as for instance XPRIZE Foundation, you'd really like to benefit during your contribution, and we're going to take care of the restof the We partner with not only all of the tens of thousands of charities listed on our site, but if you wish to aid a charity that individuals don't currently list, we'll get in contact with this charity to get you so as to fill out the donation process. We'll also supply you with paperwork that will help you to get the maximum tax deduction for the contribution! Donating your car or truck is a winwin every moment! Donations to education charities: $59.77 billion, or 15% of all contributions, went to schooling charities. This was up 3.6 percent from 2015. Donations to foundations: $40.56 billion, 10% of all donations went to foundations and have been up 3.1%. Donations to health charities: $33.14 billion, or 8 percent of contributions went into health charities, which had been a 5.7 percent growth. Donations public benefit charities: $29.89 billion approximately 8 percent of all donations went to society and public benefit charities, which had been up 5.8 percent. Donations to Culture, Humanities and Arts $18.21 billion or 5 percent of all donations went into Arts, Culture, and Humanities, that was up 6.4 percent. Donations to the Environment and Animals charities:$11.05 billion or 3 percent of contributions went to Environment/Animals, up 7.2 % from 2015. Lastly, the most significant percentage of contributions in 2016 went into Religious Organizations: $122.94 billion, went to religious associations, or 32 percent of all donations. As you may see, charitable contributions are rising, and it is a good thing because our favorite charities, like Phoenix Motorcars Phoenix Motorcars need as much assistance as they can get! In Instant Car Donation we're doing our part to boost charitable contributions through automobile donation. You may donate any sort of automobile, like a Maserati Biturbo. It's an effortless method. It's possible to donate your car, whether its a Saab 9-5 or even a Daihatsu Charade to enable a nonprofit of your own choice, such as East Bay Community Foundation, simply complete the intake form and we'll be in contact to take good care of the procedure. Is car donation only for clunkers? Many men and women think car donation is only so you can get old cars which don't run out of the driveway. This is simply not correct. Lots of people donate beautifully re conditioned cars that they've been taking care of. Also, did you understand many auto collectors donate their vehicles every year? By way of instance, actress Sharon Stone has been collecting antique cars within the past 21 decades and has given seven of the trackable cars to charities. Donations in this way will help charitable organizations to simply help people in need, to nourish the less fortunate, to educate children, to provide afterschool programs, to offer clothing to homeless folks to help creatures and many other beneficial deeds. Of course it's possible to donate any car, like being a Avera Motors Avera Motors, or perhaps a Avera Motors Avera Motors, however what makes Instant Car Donation particular is that people let you pick a local charity like Boulder Jewish Community Center or even Global Greengrants Fund from Broomfield, Colorado, in order for your contribution can help your community community. Many vehicle donation programs just enable you to contribute to one company because they are often hired specifically by this charity as their designated auto donation supplier. We are very different. Charities not hire us. This also makes it possible for us to help hundreds of charities around the country like United Ability and American Bar Association Fund for Justice and Education. However, our distinctive capability to help local charities like Boulder County AIDS Project and River Network in Broomfield, Colorado, is our specialization. Another vinatge car collector that's donated cars to charity is Evan Metropoulos, of Metropoulos & Co.. Do you know somebody with an excess car? Why don't you inquire if they'd want to donate it to help a local charity like Boulder Shelter for the Homeless at Broomfield, Colorado or Basic Fund? It could be any vehicle, like a Lamborghini Hurracan or even a Cadillac XLR! The possibilities are infinite. If you make the choice to give your car, like a Lexus LX, to support a cause that you care about, you recieve the advantage of a tax deduction - and the charity like Plymouth Community United Way receives the benefit of the funding to host programs or projects. But were you aware your car donation may also provide the benefit of greener living ? We take the time to sort our recyclables into steel, plastics, paper and aluminum. But in case you ever feel that cars were a significant portion of recycling? Many donated automobiles, such as a Lancia Flavia, are in need of repairs and upgrade. And, most of us do not have time or energy to fix our cars up so that we may sell ourselves, and fetch the highest price for what we have. That's where we all come in. When you donate your car, we organize a free pickup and sale of your car at a nearby market in Broomfield. At the auction, your car will be run on by a individual, used car salesman, or mechanic that wants to give your car new life, also has the time and skills to do it. That's to say by donating your car, you're actually giving it a new purpose! Who knew that donating a vehicle could attain a lot of vital goals at once? When we give a car, we benefit a charity such as CEC/Seabee Historical Foundation by giving them more comprehensive funding, consider the load of fixing up the car off of ourselves and we repurpose and recycle our vehicle! Can every charity manage the work it takes to process a auto donation? Regrettably, no. Take the example of Rocky Mountain MS Center in Broomfield, Colorado. Goodwill Industries of Denver may not find sufficient efficacy in handling the towing, titlework and sale of a given car. And therefore, Native American Rights Fund may not have the ability to rely on car donations as a source of financing. However, through our streamlined procedure, funding from the selling of your car can really make a difference to non profits like National High School Rodeo Association. We can give charities like Alliance for California Traditional Arts a hand while a greener, more simple life.